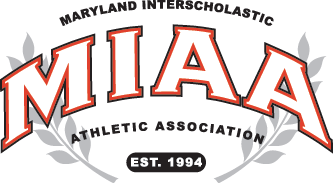 Old-school hard-nosed football was the order of the day when MIAA A Conference rivals Archbishop Spalding and McDonogh School tangled Saturday afternoon in sunny Owings Mills. The run-centric Cavaliers started slowly and then exploded for three touchdowns in the final 5 minutes and 33 seconds of the fourth quarter to prevail, 34-17. Although both squads leaned heavily on their ground games in order to motor up and down on a grass field that was attempting to dry out from Thursday’s soaking rain, the Eagles (2-3) were a little more willing to go through the air. To that end, it was a 33-yard pass from junior quarterback Kris Jenner to junior wideout Curtis Jacobs that sparked McDonogh’s opening scoring drive. The nine-play sequence ended on an unorthodox jump-pass from senior running back Jabriel Johnson to Jacobs to give the hosts a 7-0 advantage with just over three minutes left in the first quarter. Johnson, though, was way more inclined to run the ball, seeing as how the workhorse back lugged the ball early and often for the Eagles. In addition to his scoring toss, Johnson also ran for a 28-yard touchdown that gave McDonogh a 14-7 lead with just over a minute remaining in the first half. In between those scores, Spalding’s Jayden Umbarger scooted into the end zone from the McDonogh 26-yard line for the Cavaliers’ only touchdown in the first half. Spalding knotted the score at 14-14 with just over three minutes to go in the third quarter on a 5-yard scamper by sophomore running back Jayon Venerable before the Eagles took their last lead, 17-14, on a 36-yard field goal by junior kicker Harrison Beattie just 90 seconds later. The fourth quarter, though, belonged to the Cavs as the versatile Umbarger caught a 19-yard touchdown pass from sophomore quarterback Austin Tutas early in the period and then bolted 53 yards for another score to build Spalding’s margin to 28-17 with just over three minutes left in regulation. Senior linebacker Alex Green capped the late scoring surge by returning an interception 25 yards for the game’s final touchdown. Umbarger said that it can take some time getting used to shuffling in and out of the offensive lineup in order to be able to be fresh enough to play in the secondary on defense. Although McDonogh coach Hakeem Sule was unavailable after the game, he and the Eagles could probably take some solace from the fact that they never trailed in the game until late in the fourth quarter. And to ultimately fall to an offense that boasts a variety of weapons, such as the elusive Umbarger, is hardly a serious flaw. The game would have been the MIAA A Conference league opener for both teams. However, with the league title having already been granted to St. Frances Academy, and no league standings being kept this fall, the Cavaliers will have to settle for bragging rights over their league rival this season. Pictured above: Senior Jayden Umbarger showed his versatility in Archbishop Spalding’s 34-17 victory over McDonogh on Saturday. The Naval Academy commit played lock-down defense in the Cavaliers’ secondary and also scored two rushing touchdowns and caught a pass for another score.